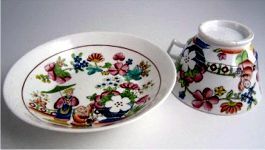 A very pretty Hilditch teacup and saucer, beautifully painted with an oriental scene of a 'boy picking fruit', dating from c1830. 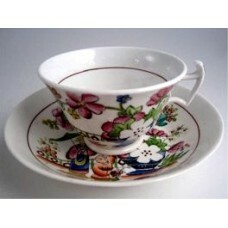 The cup is of the shape known as the 'London shape' with its angular handle with a curved up lobe at the top. 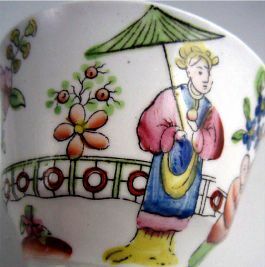 The cup is decorated in very colourful enamels showing an oriental scene of a young boy picking fruit, behind him stands an oriental figure carrying a parasol. 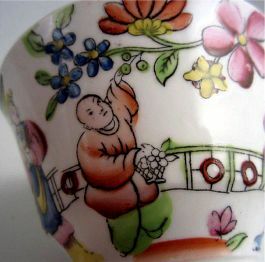 There is a stylised fence running around the cup which also shows a large vase of exotic flowers, etc. 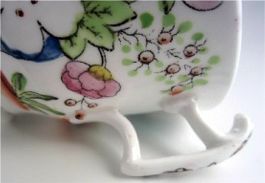 The back edge of the handle is decorated with little flowers and on the inside of the cup there is a flower spray painted at the bottom of the bowl around which runs a red circle. 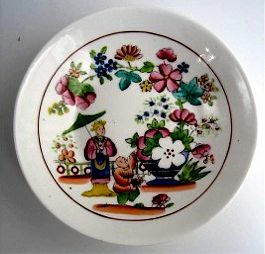 The dish saucer is beautifully decorated in the same colourful enamels and depicts the same oriental scene of the 'boy picking fruit', etc. 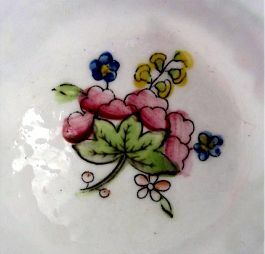 3½" (88mm) diameter of the cup at its rim. 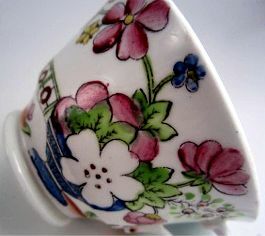 2¼" (58mm) height of the cup. 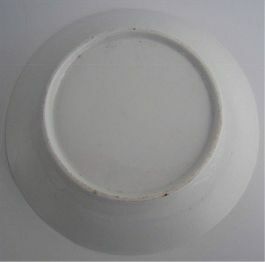 5½" (140mm) diameter of the saucer. 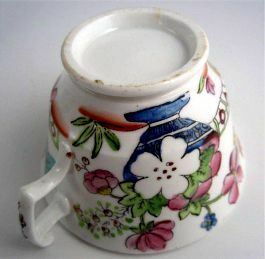 6½oz (184 gms) total weight. 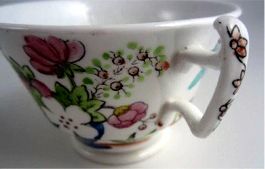 There are no manufacturer's marks. 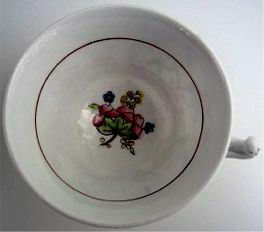 This charming teacup and saucer is in good condition with no chips, cracks, repairs or restoration. Description A very pretty Hilditch tea cup and saucer, beautifully painted with an oriental scene of a 'boy picking fruit', dating from c1830. 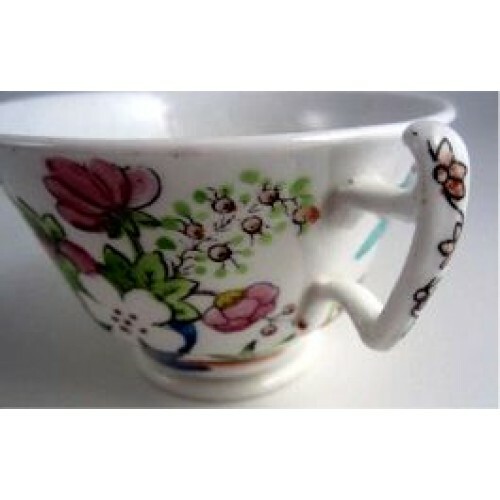 The cup is of the shape known as the 'London shape' with its angular handle with a curved up lobe at the top. 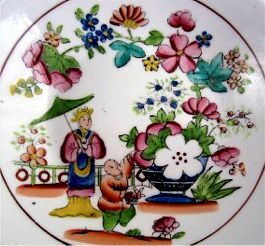 The cup is decorated in very colourful enamels showing an oriental scene of a young boy picking fruit, behind him stands an oriental figure carrying a parasol. There is a stylised fence running around the cup which also shows a large vase of exotic flowers, etc. 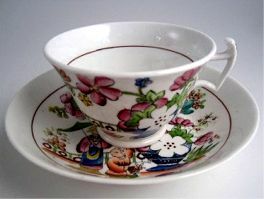 Condition (See main description for full details and pictures) This charming teacup and saucer is in good condition with no chips, cracks, repairs or restoration. A very pretty Hilditch teacup and saucer, beautifully painted with an oriental scene of ..